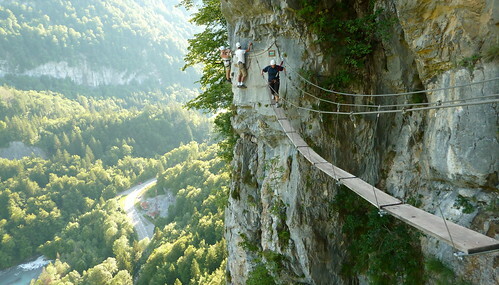 Adventure in the Alps – so what is via ferrata? Looking for inspiration for a summer of fun? The second in our series of summer blogs introduces the exciting sport of via ferrata. Not for those without a head for heights (or a willingness and determination to overcome one! ), in this post we will give you a better understanding of this fantastic activity… And another reason to come to Samoens! 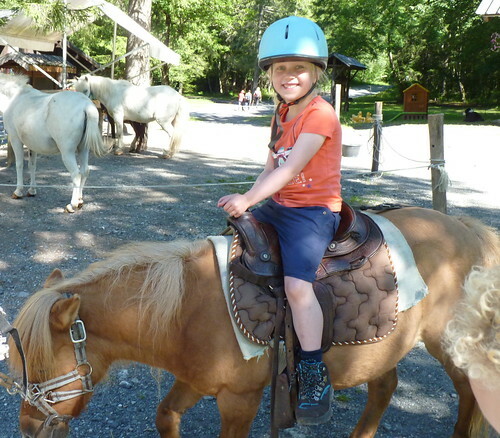 Summer in the Alps – more fun than winter? The Alps is not always an obvious destination for a holiday that doesn’t involve sliding quickly down a snowy slope with a board or pair of planks strapped to your feet. However, the mountains have so much to offer outside of the winter months. Whether you’re a thrill seeker looking for an altitude-based adrenaline rush, or seeking the remote tranquility that our wonderful alpine pastures offer, our series of summer fun blogs will offer summer holiday suggestions for you. In this blog post we’ll be inspiring you enjoy some of the sites in and around Samoëns on two wheels. Samoëns is a wonderful destination for a family ski holiday and is brilliantly suited to a week or two away with your loved ones. A proper, fully functioning & family-friendly village rather than a purpose built ski resort, the people and businesses of Samoëns are used to having children around all year. 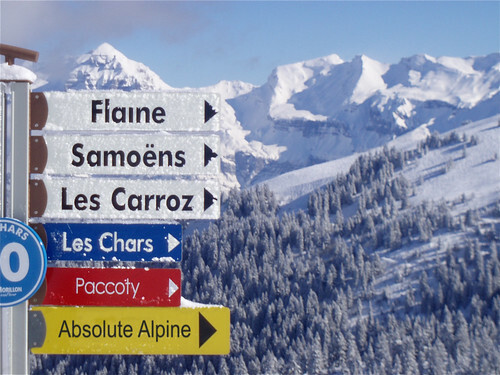 Whether you are after a family ski holiday or an alternative to the more traditional summer holiday, the Alps have something to offer and Samoëns in particular is a wonderful family venue! 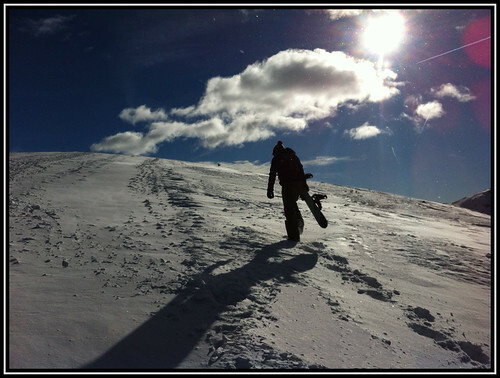 We are huge fans of snowshoeing and it’s a wonderful alternative to downhill skiing or snowboarding. With the modern light weight snow shoes on your feet, you’ve got access to some of the most beautiful and quietest part of the mountains. We have a number of blog posts on snowshoeing (learn more about snowshoeing here) and now we’ve got a video to share with you that was made during our January snowshoeing trip. This video was kindly put together by Ian and Jane with footage that was taken on a Go-Pro during an overnight trip to the Tête de Bostan. A huge thanks to them for their effort and for sharing this with us. Whether you are already a winter mountain lover with a passion for skiing or you are looking for a new exciting experience in the great outdoors, snowshoeing is definitely worth considering. 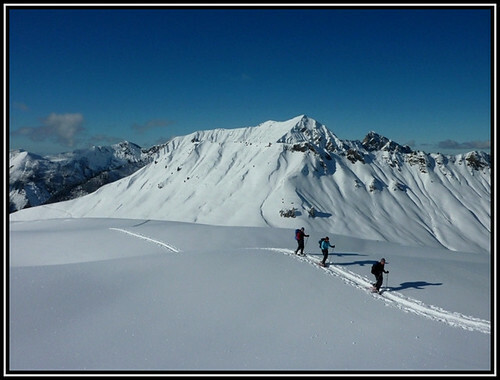 With our highly experienced and qualified guide to lead you through this winter wonderland, you will get away from the more popular ski pistes and escape into the remote back country of the French Alps.